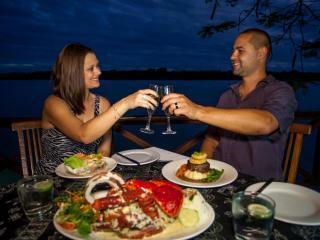 Sunset Bungalows Resort is a stylish boutique resort, located only 5 minutes drive from Port Vila. 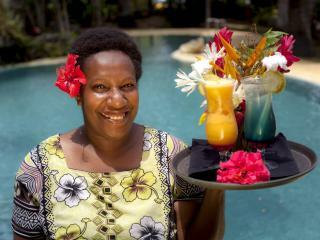 This Vanuatu Resort has a maximum occupancy of 38 guests with a restricted 18 years plus policy. 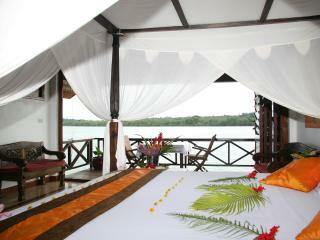 This ensures absolute relaxation and tranquility for your tropical honeymoon or peaceful getaway. 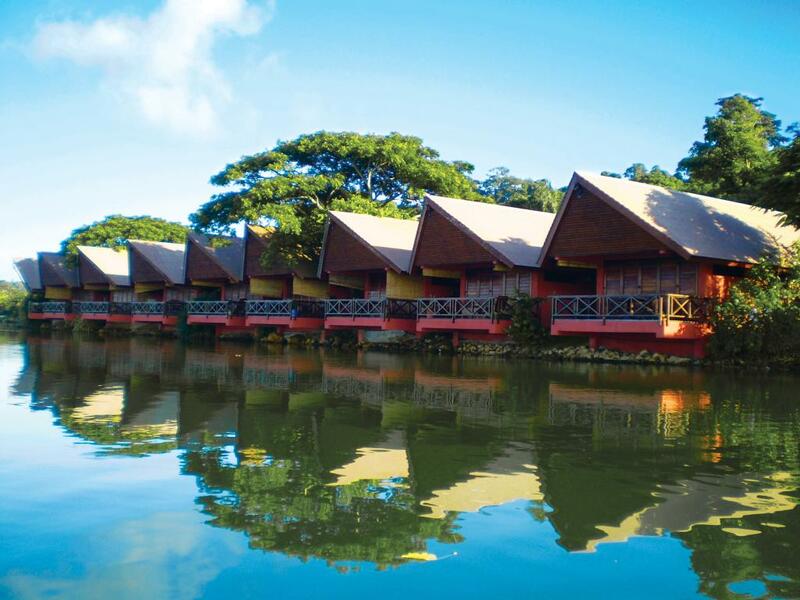 The spacious bungalows at this Vanuatu accommodation are nestled in thriving tropical gardens and offer 180 degrees views of the Emten Lagoon. 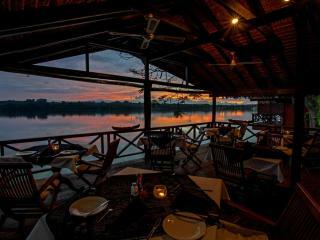 The overwater restaurant, Bungalow: Ate at Sunset Bungalows Resort not only provides fresh tropical cuisine, but also the convenience of a WiFi Internet connection for those wanting to catch up with the world. 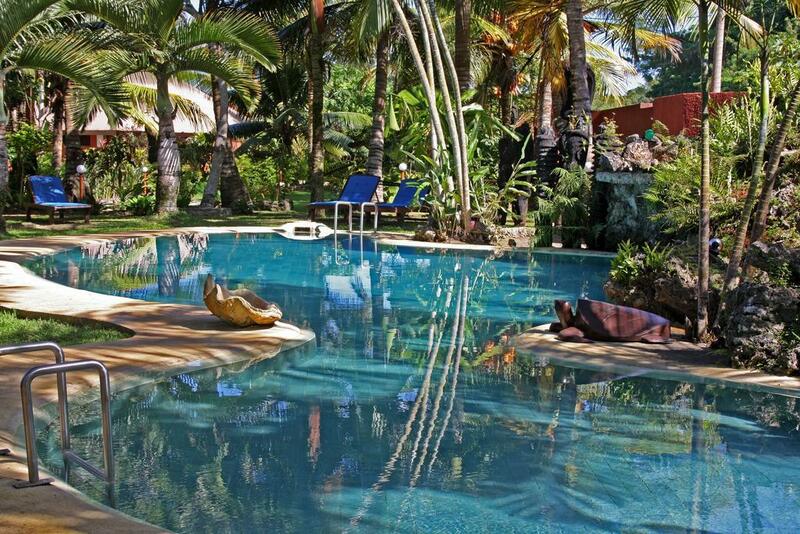 Sunset Bungalows Resort features an outdoor swimming pool in the centre of the property, shaded by tropical gardens. 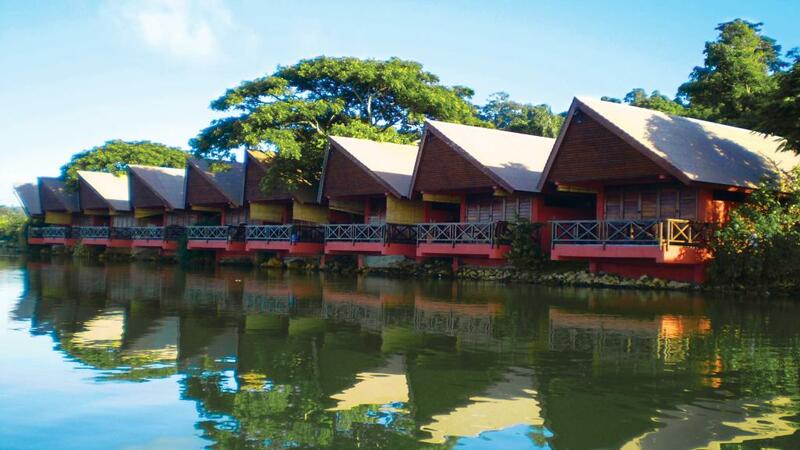 Relax in a hammock, sip cocktails on your balcony or for the water lovers, why not take out one of the complimentary kayaks to explore the Emten Lagoon. 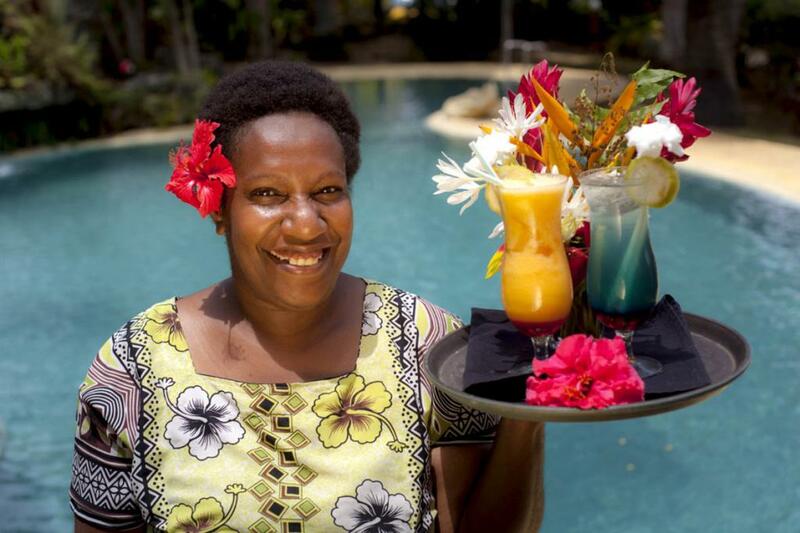 Sunset Bungalows Resort is a secret place to explore, sensational sunsets and pleasant moonlit nights under the Vanuatu stars, enhance the romance for any couple, especially honeymooners. 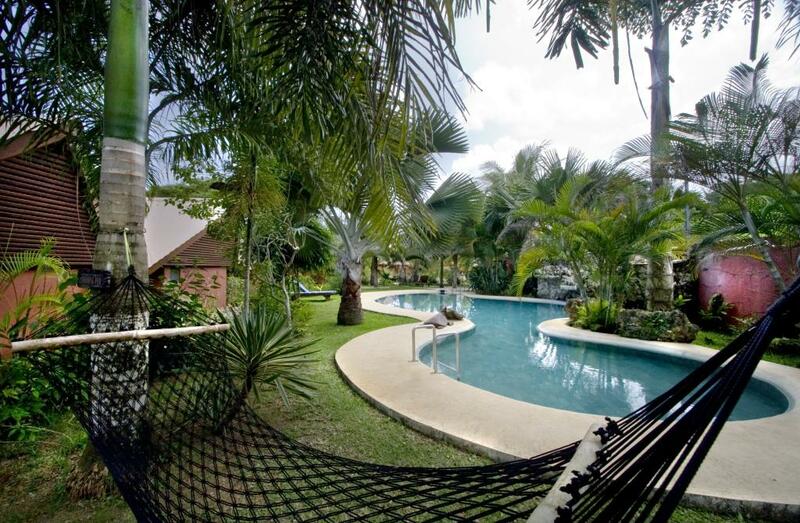 You will leave Sunset Bungalows Resort with many unforgettable memories. 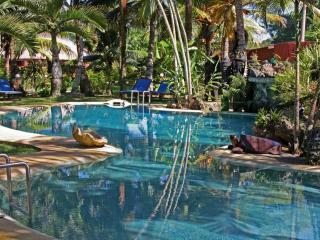 Sunset Bungalows Resort offers a range of accommodation options. 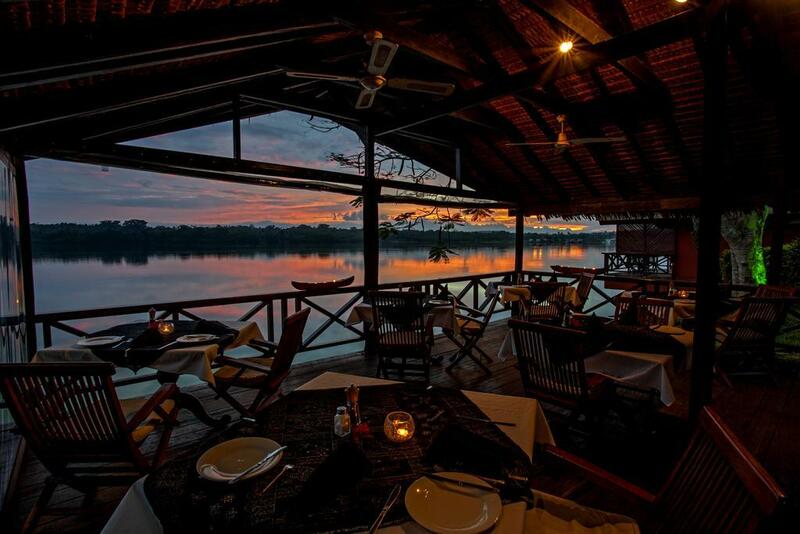 All bungalows are architecturally inspired by local building styles and feature exotic native timber and cathedral ceilings with stunning lagoon views. 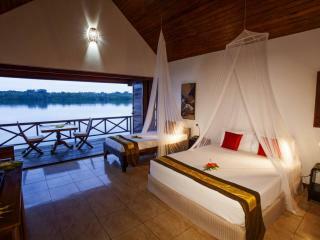 Lagoon View Room: Located on either ground level or second floor. Size is 40m². Bedding is 1 King Bed. Maximum room capacity is 3 Adults OR 2 Adults + 1 Child 0-11 years. 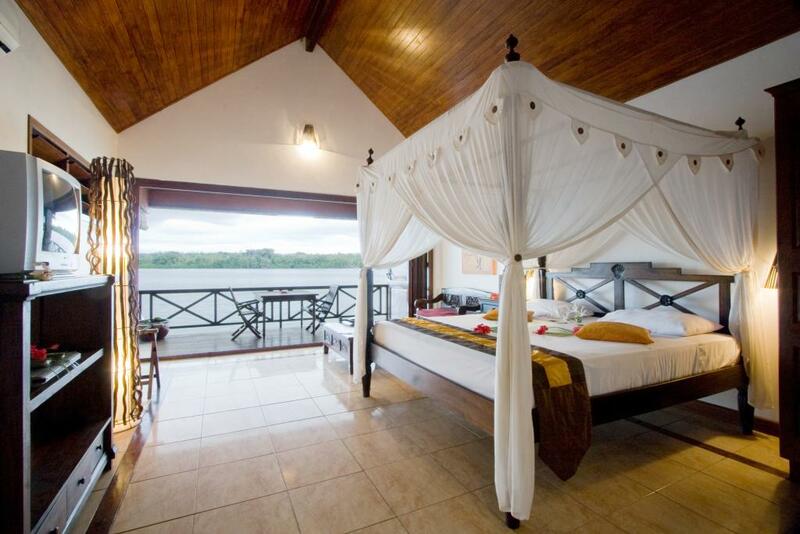 Waterfront Superior Bungalow: Offers beautiful views of the lagoon. 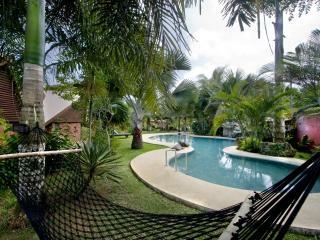 Four of the 10 bungalows offers kitchenette facilities which is available on a request basis however is not guaranteed. Size is 46m². Bedding is 1 King Bed. Maximum room capacity is 3 Adults. 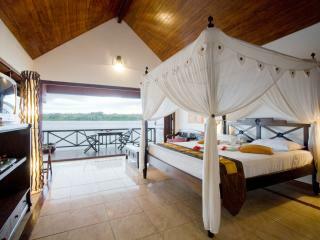 Honeymoon Spa Bungalow: Features a double spa bath with lagoon view, deck chairs, kitchenette, bathroom and extended deck. Size is 65m². Bedding is 1 King Bed. Maximum room capacity is 2 Adults. 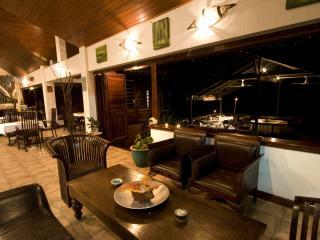 Bungalow Ate: Overlooking the lagoon, Sunset Bungalow Resort's restaurant is open for breakfast, lunch and dinner. 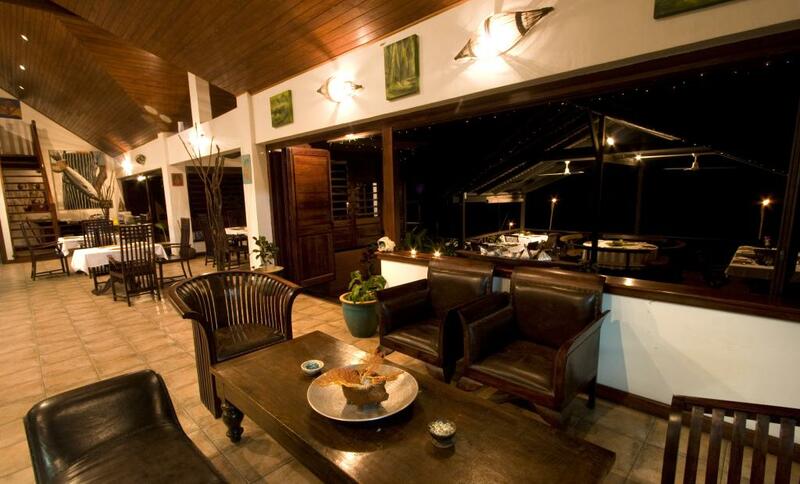 Suspended over the water's edge, it offers a relaxed atmosphere with beautiful views of the tropical fish. 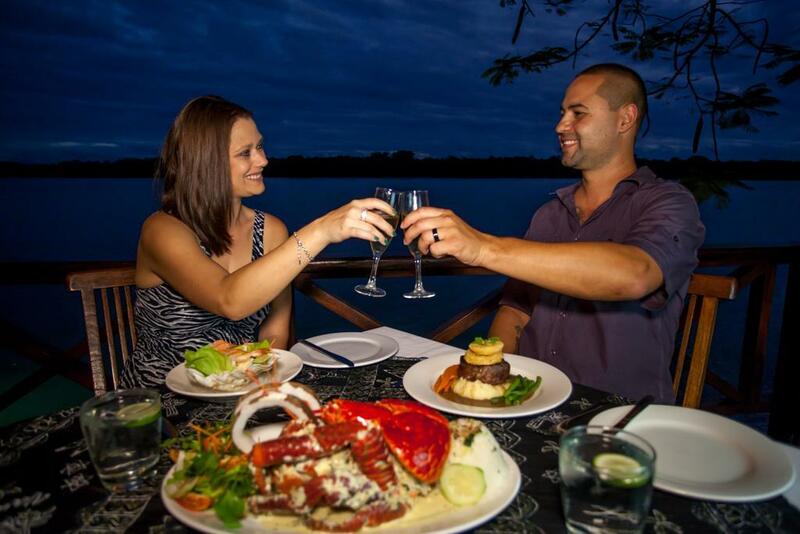 With professional wedding planners onsite, Sunset Bungalows Resort offers an intimate setting for your special day and can assist you in planning everything you need. 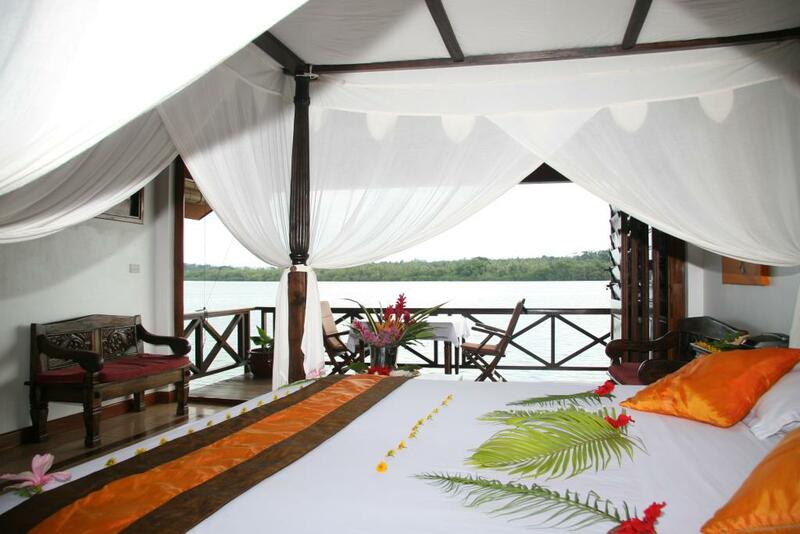 Set wedding packages are available or can be customised to your own individual needs. 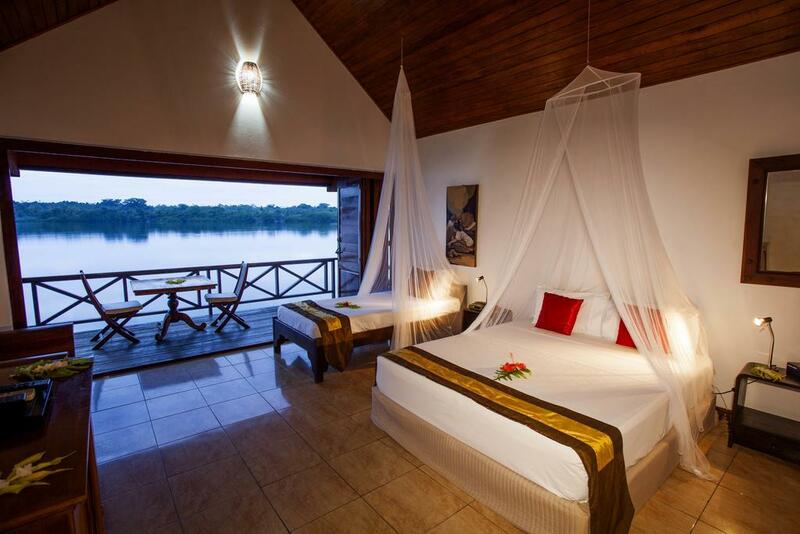 Children: Children aged 0-11 years are permitted in the Lagoon View Rooms only.